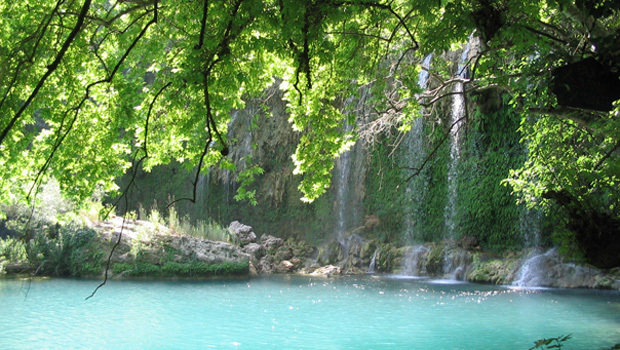 The Kurşunlu Waterfall is located 19 km from Antalya, Turkey. It is reduced to a mere trickle in the summer months. The countryside around the water forms a lovely picnic and pleasure spot. From the lingering taste of sweet Turkish delight on your tongue to views of the historic battlefield of Gallipoli, Turkey is a destination that you will never forget. With Authentic Holidays, your tour will be full of local insider secrets, once in a lifetime encounters and unique experiences. Authentic Holidays caters tours for couples, families or small groups. But regardless of who you travel with, your trip to Turkey will be an intimate journey into the heart of a country with delicious food, charming hospitality, and landscapes that are a wonder to behold. Authentic Holidays is the leader in custom travel to Turkey from Australia. Established in 2001, Authentic Holidays creates tailored travel experiences, ranging from luxury to budget tours that offer an inside look at the fascinating destination of Turkey. Authentic Holidays creates an authentic travel experience for you from our own Turkish origins. With years of expertise and knowledge of Turkey’s best travel destinations, we’ll design your own unique tour or help you choose from our exclusive range of Classic Turkey tours. Authentic Holidays is based in Cappadocia, Turkey. You can now visit this intriguing destination that once housed ancient civilizations and early Christians who carved their dwellings from the rock formations. Where else in the world but Turkey can you sleep in a luxury cave hotel? Inspired by the Fairy Chimneys themselves, Authentic Holidays represents the very best of Turkey. A country with a rich, magical and ethereal history. Authentic Holidays are experts in all things Turkish. But we also have a wealth of experience in booking all of your travel needs. Contact us now to discuss your dream holiday to Turkey.